It's the New Year and what is the first thing that you should do? Some people will recommend you to eat ozoni, but some will suggest that you go for hatsumode (the first shrine visit of New Year) with your family, friends and loved ones. A greeting at the shrine may be a good way to express your gratitude for last year's blessings and to welcome the New Year with a renewed mind. Have fun hanging up votive pictures and drawing a written oracle at the shrine! 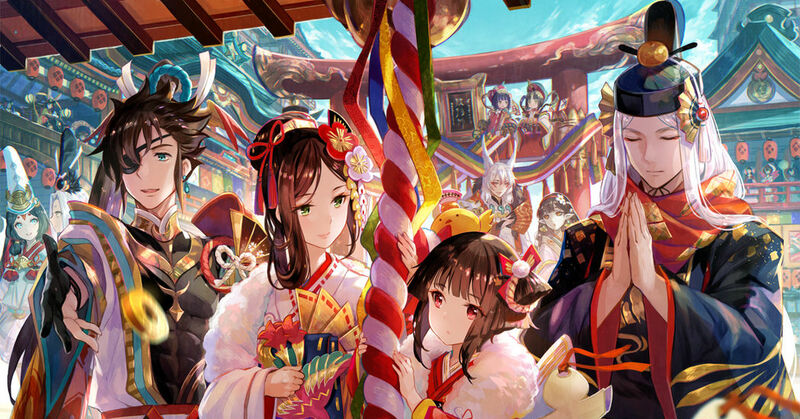 This time we are featuring hatsumode illustrations. Please enjoy!